They are among 64 UK and Irish turbines that have been sold by Scottish Equity Partners (SEP), the venture capital firm specialising in investments in innovative, high-growth technology companies. Their new owner is the Pensions Infrastructure Platform (PiP), which was founded in 2012 to facilitate long-term pension scheme investment into UK infrastructure. The portfolio changing hands ranges from single-turbine sites in the Northern and Western Isles to utility-scale turbines in Curraghderrig, Ireland, and the Port of Tilbury in London. PiP already owned Aura – one of the largest stand-alone feed-in-tariff wind portfolios in the UK. It also has a minority shareholding in a 550 megawatt, 24 site wind portfolio operated and majority-owned by EDF. Peter Bachmann, a Director in SEP’s technology infrastructure team said: “We are pleased to conclude this sale to PiP. Indigo, the third largest independent gas transportation network in the UK, with approximately 180,000 gas connections, was purchased by independent infrastructure asset manager Arjun Infrastructure Partners in February. SEP – operating from offices in Edinburgh, Glasgow and London – invests in UK and European companies across a range of technology sectors, with particular expertise in enterprise software, consumer internet, energy technology and tech-enabled service businesses. Its investments include high-end fashion business Matchesfashion, online car finance specialist Zuto and internet-based eyeware retailer Mister Spex. 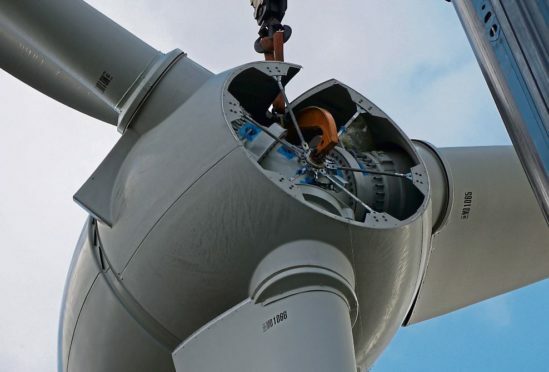 In September 2015, the firm announced a £9m investment – from its Environment Capital Fund – into newly formed business Hamsin Wind in order to to spark the delivery of many of the single turbine projects which have now been sold on to London-based PiP.